VCG. I’m watching you. – is this houston? 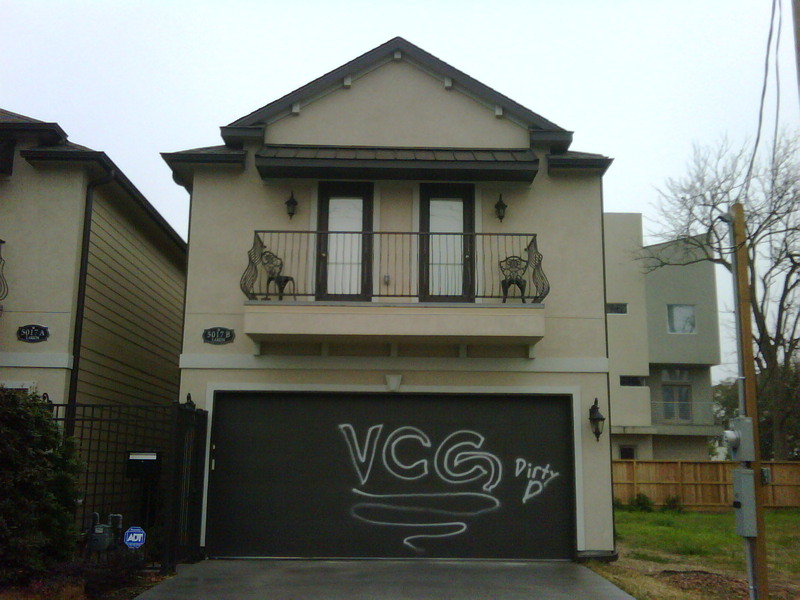 Graffiti is cool, but not on houses. Stick to the freeway underpasses, they get more visibility anyway.